Have you all picked a word for 2015? I thought I was going to pick a word for 2015, but I ended up going in a bit of a different direction. The last couple months of 2014 were extremely stressful for me. I realized around the first week of November that I had seriously overcommitted myself and that I was going to be working a lot to get everything done. I had less time to play with my kids, my meal planning completely fell off, and I started getting less and less sleep. I was exhausted and not the best Mom I could be and we had more fast food than I’d like to admit. 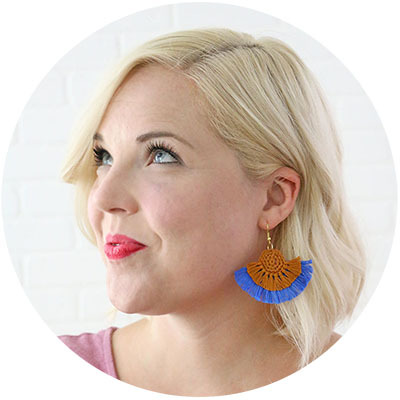 Around that time, I was listening to a podcast and someone said something like, “When you say YES to something, what are you saying NO to?” That stopped me in my tracks. I realized all of those yeses I had been giving out came with a lot of noes. It all comes back to something I’ve been trying to learn my whole life: that it’s okay – actually it’s good! – to say NO. 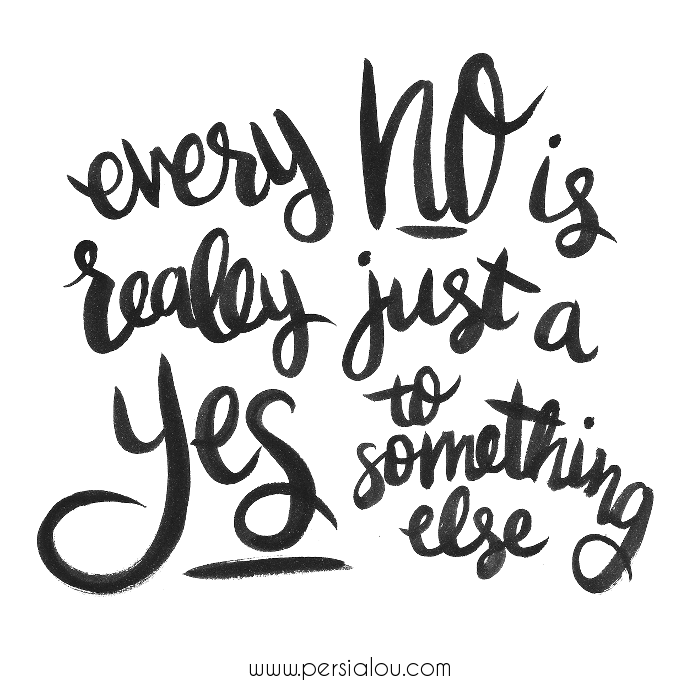 I’m learning that saying no to one thing is really saying YES to something else. I might have to say no to a good opportunity, but that allows me to say yes to my family, and taking care of my body, and accomplishing more long term goals for my little business here. This year, I want to say YES to what is most important. If you could use this little reminder in your life too, you can download a printable version HERE. 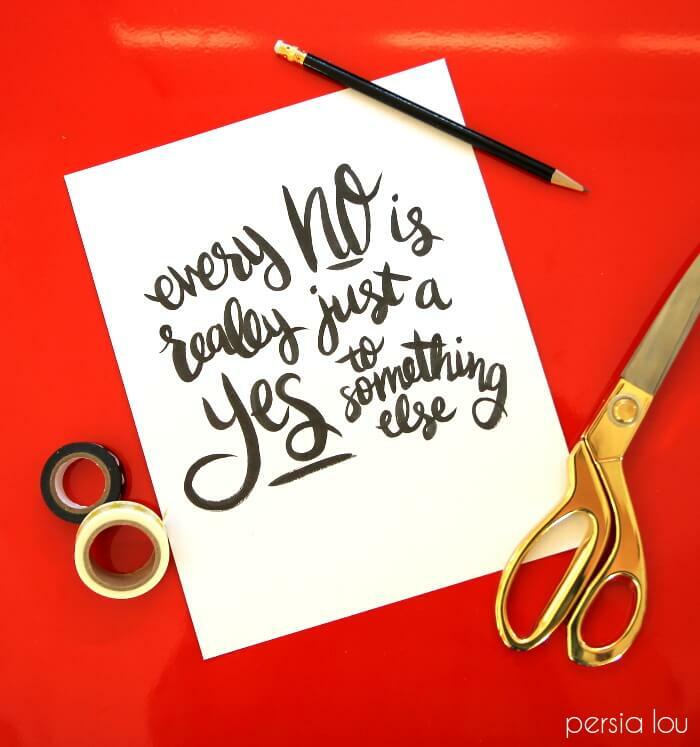 Hang it up over your desk like I did to help you say yes to what’s most important. Have you picked a word or motto for the new year? I’d love to hear about it in the comments! I love this Alexis. I wrote a post similar to this one last year and still said yes to way too many things at the end of the year. This year I&#39;m saying no more too. Can&#39;t wait to see you at SNAP! Oh goodness, I&#39;m so with you on this one. 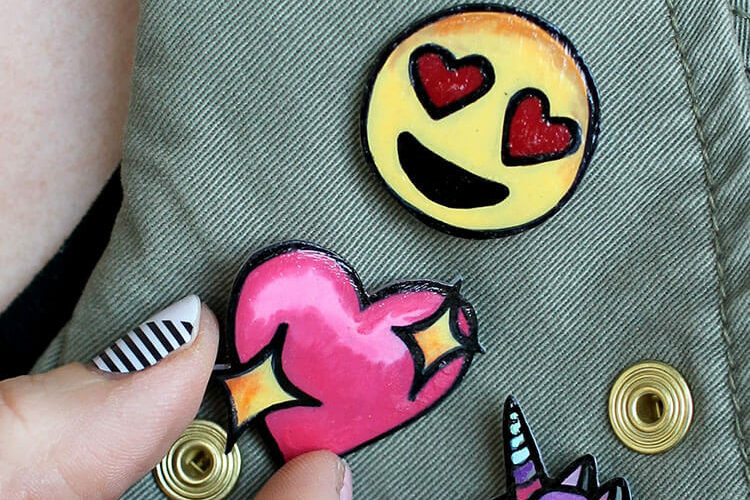 I&#39;m still coming down from all the yes&#39; I made from Oct to Dec… great printable, friend!! So true Alexis! 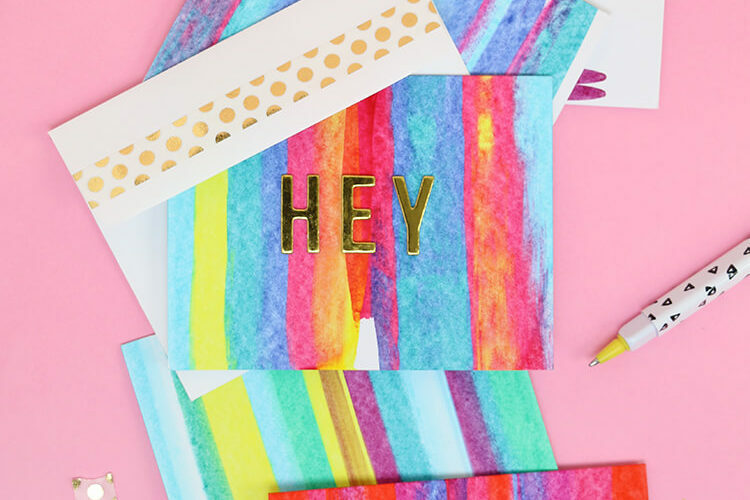 I love the free printable too, pinned. Thanks for the reminder, I have been feeling the same way…Hugs! Thank you! I love this! I will absolutely be hanging this in my work space. After some health problems in the past few months, I&#39;ve really had to prioritize what does and doesn&#39;t get done. It&#39;s hard to keep that perspective and this will be a nice reminder. I&#39;m making this my desktop wallpaper (somehow, ha!). I certainly appreciate the positive spin you put on a classic saying, and of course the pretty calligraphy! I definitely have a problem with over-committing as well. I still feel guilty saying no, but I need to do it in order to have a happy and balanced life!